The world's leading arms superpower, the Russian Federation has officially offered the Philippines under Pres. Rody Duterte some military hardwared that is too good to refuse. 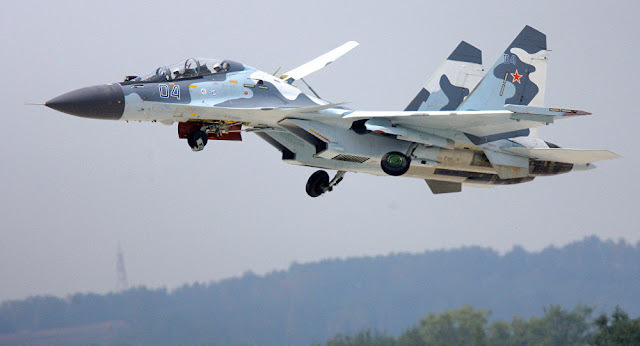 The Russians offered Improved Kilo Class submarine, Squadron of SU-30 Fighter Jets and Missile Defense batteries. According to a reliable source from Malacanang the military hardware will be financed by loan grant as much as US$2 billion from the Russian government. If all are taken by the Duterte admin, that is P110 billion-off to the P300 billion revised AFP Modernization Program second horizon budget. Based upon the government's modernization plan, the acuisition of submarines was originally planned for the third horizon (2023-2028). But the current Navy Chief, Vice Admiral Robert Empedrad, lobbied for the immediate inclusion of diesel-electric submarines in Horizon Two. Russian state-run Rosoboronexport attended the Asian Defense, Security and Crisis Management Exhibition and Conference, ADAS 2018 in Manila Philippines last September 28 showcasing for the Philippine Air Force Su-35 and Su-30SME super-maneuverable multifunctional fighters, the Yak-130 training and combat training aircraft, the Mi-35M transport/combat helicopter, Ka-226T light multi-purpose helicopter and the Mi-171Sh military transport helicopter, Pantsir-S1anti-aircraft missile/gun system and the Igla-S MANPADS. It also exhibited small arms like the AK-100 family of Kalashnikov assault rifles and armored vehicles, for example, the BMP-3 infantry fighting vehicle and BT-3F armored personnel carrier for the Philippine Army. While for the Navy, the Project 636 large diesel-electric submarine, Gepard-3.9 class frigate and boats for various purposes are on display at the Company’s stand. Russia said they are working on workable payment schemes with the Philippines to pay for the products that they intend to order as its State-run company is prevented from using US dollars under Section 231 of the Countering America's Adversaries Through Sanctions Act of 2017 (CAATSA). CAATSA provides prohibition upon foreign exchange transactions under U.S. jurisdiction and transactions with the U.S. financial system. 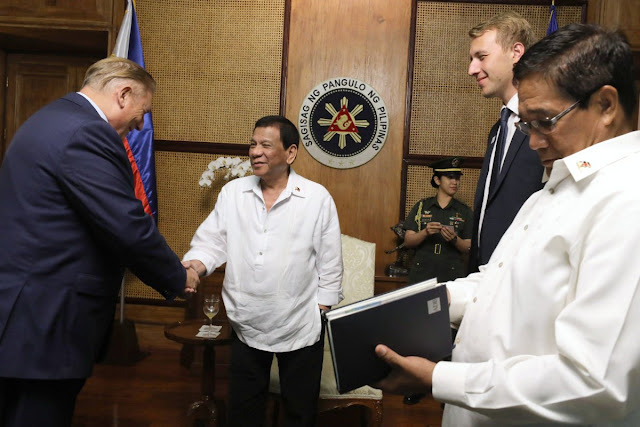 Rosoboronexport General Director Alexander Mikheyev who met with President Duterte confirmed the restriction and said the company would focus on conducting transactions in the currency of a customer instead of US dollars. Mikheyev said it had examined a number of ways to work around US sanctions against the company and was now considering the possibilities of working in non-US currencies.